I have now calmed down a bit from yesterday's trainer ordeal. I am taking my camera and video camera with me to the barn today. So, I am looking forward to 12 noon when my babysitter gets here and I can be off to see my horse, no matter where he is. I also have been neglecting to post some awards that I have been given. I have not forgotten about them. The first one I received was from Cowboys, Kids, and Sunsets. Thank you so much!! Train Wreck, you are too kind! This award has made its round through blogging world, so I hope I am not re gifting when I give it out to these five. Here are the details about this award. 1. 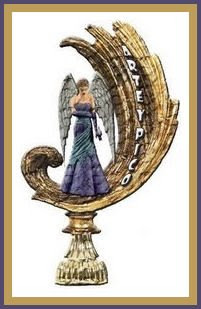 You have to pick 5 blogs that you think deserve this award for their creativity, design, interesting material, and also for contributing to the blogging community, no matter what language. 1. Karen over at The Rocking Pony. She has a lot going on over at her place. Between 6, or is it 9, dogs, four kids, some horses and ponies, and a really nice store where she sells handmade kids' clothing, there is always a great story to tell. Plus I love her sense of humor. 2. Harmony over at Blog on a Stick. She is my sister's friend and I have been lurking at her blog for a while now and talk about beautiful. She has some of the most beautiful photography. She is very creative and has the most adorable children. 3. Erin over at Raising Country Kids. She has amazing photography and she lives in a really cool state. I wish I lived there. She has a wonderful way of writing and I love to read her posts. Her family are farmers and defiantly have no problem keeping it real. 4. Laura over at Ramblings of Mine. She is a fellow southerner, but she was born here so she is the real deal, not an implant like me. She has four beautiful children and she has the best sense of humor. I love to read about her takes on life. She is very funny. 5. The Knutson Family. I just started reading her blog, she found me, and I love it. I love her horse tales and her pictures. She is telling her story of how her love for horses all began. It's really good. The next award I received was from kdwhorses over at Blackjack Land and Cattle Company. 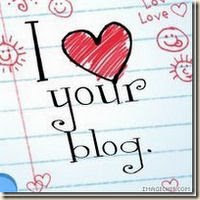 Thank you girl, I love your blog too!!! Here are the details about this award. 2. Link the person you received your award from.3. Nominate at least 7 other blogs. 1. Nuzzling Muzzles. She is one hard working horse woman. She works hard at riding her two Arabians. I love her dedication and I really love her stories. 2. Ranch on Salmon Creek. Here are a couple of ranchers that have no problem living off the land. They have a beautiful ranch. I love their informative posts about raising chickens, raising good beef, and so much more. They have beautiful photography and always great advice. 3. Galloping Grace Youth Ranch. Who could not love Max and Michelle. They have the greatest ranch with the greatest purpose. I will someday go and visit them. They have big hearts and are not afraid to share the love with everyone else. I love her photography too. 4. Livin' in Da Heel of Da Boot. This is my good friend from down here in the swamp lands of Louisiana. She is an amazing mom and an amazing cook. She does some great cooking demonstrations. Yummy!! 5. Amanda's Veranda. This fine lady has a great taste for beautiful photography. She has taken some really brilliant photos. It's always so refreshing to go over and see how this former Louisiana Gal is doing up in the big state of Washington. 6. I Hate Whine! This mother of four always has something going on. She has beautiful flowers and very adorable little boy. I can always count on her to leave me the nicest comments. 7. Around the Funny Farm. This Farm Diva is the best. She and her family go around on weekends to barrel races. She has a need for speed. She has an amazing garden that I could only wish to have mine look like. I love her sense of humor and her love for her family. Few.....that was a lot of blogs. I love all the blogs I read and it was hard to choose seven. Thanks to everyone who reads my blog and I hope you all have a great Wednesday. Thank you so much for the award! I breezed over here to see if there was an update on your horse today. I too was wondering how it went with Ozzie! Oh~hubby just asked if you needed some Texas back up! We don't play, we still hang horse thieves! Congratulations on your awards! Glad to see you have calmed down a little, too much stress is not good for anyone. Congrats on your awards, and thank you for mine...you are too sweet! Were you able to move Ozzy yet??? I don't know about that trainer.He seems a little controlling. What is the antisocial preacher going to do? Shoot you for trying to pick up your horse...heeheehee!!! Thank you for the award and kind comments. I'm glad to see you got these. Thank you, and you derseved it. And congratulations!! Sure you can come pick up the real "Trainwreck" train him, get all the colt out of him,and make him manageable.Then bring him on back! Deal? LOL!! I have been kind of busy and just seen that you gave me an award right now...Thank you... for it and the kind words . Thanks Andrea, we are honored. You are so sweet, We wish we really did live completely on the land, we try, but you do know now... We do go to Costco once a month! Good luck with the hurricane. I haven't been "in your neck of the woods" (don't I sound totally Southern? Yeah, totally) for awhile since your STINKING SISTER hasn't updated her blog. And I have an award! You are seriously my new favorite person. Thank you so much! Um, hello longest comment ever from me. If this were the Academy Awards they'd be playing that "shut up" music. Thank you! Thank you!